From a distance, this painting looks like a regular pencil painting. But the painting and many other paintings from the creator of this painting has become a source of inspiration for many artists around the globe. These paintings were created by artist Paul Smith, using a single finger, a single typewriter and only few symbols from the top row of the typewriter. 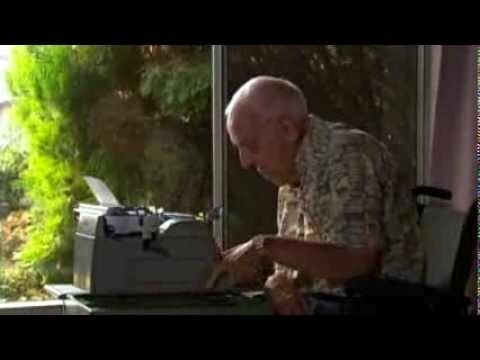 Born in 1921 with severe spastic cerebral palsy, Paul lived his life painting pictures with a official typewriter. During his adult years, Paul Smith lived with his Parents in Florida, Hollywood. After they passed away, he moved to Oregon. Due to severe case of spastic cerebral palsy, Paul lost control of his hands, which made it impossible for him to perform basic activities like eating, bathing or clothing himself. He could not attend school and was unable to express himself in front of others. It took him 16 years to learn to speak and 32 years to learn to walk. But his endless determination made it possible for him to live a remarkable life. Paul developed an interest in creating typewriter art at the age of 11, using a typewriter discarded by his neighbour He could not easily grip artist’s tools such as pencils, pens, markers, pastels or paint brushes. He discovered ten symbol keys at the top of typewriter keyboard to write and later on taught himself to paint using them. Paul Smith had created hundreds of beautiful pictures during his lifetime. Many of his creations signify a symbol of hope; such as light house beams, sun streams and heaven-sent guidance. The subjects of his art were publicly recognizable, which includes the pictures of animals, still lives, nature, war scenes, spiritual symbols and outdoor scenes. His works also includes his childhood fascination with trains, his affinity towards a squirrel he befriended, spiritual leaders such as the Pope, Jesus and Mother Teresa, war scenes and country heroes. Paul had developed the technique for creating all kinds of shapes and textures. Using only a handful of different symbol keys –!, @, #, %, ^, _, (, &,), accessible along the top row of typewriter keyboard, he created the looks of varied textures. He kept the shift key in a locked position, so that he didn’t inadvertently type numbers. He used his left hand to steady his right. For perfect spaces between lines he had to adjust the roller. He pressed his thumb against the ribbon to create the shading on the paper. Paul got the flexibility to layer with colour, after the invention of colour typewriter ribbons. Paul’s art required pre-planning, roller adjustments, ribbon changes and shading techniques. Paul Smith took around two weeks to three months of time to complete one piece of art, depending on its size and complexity. On an average, he worked a couple of hours every day on his art. The Pictures he created now works as a source of inspiration for the Master of Arts. Some of his pictures are displayed on the walls of Rose haven Nursing home where he lived since 1967. People at Rose Haven says- ‘The Artist is even more inspiring than his Art – It’s wonderful to watch him work and it’s wonderful to enjoy his work but not as good as enjoying him’. Paul Smith was a religious person and believed that the art is a gift to him from God. When he was asked what make him going- he answered a finger – ‘One keystroke at a time‘. Swati Madan is an engineer by profession and a passionate writer. She likes to spend most of her free time writing, reading or networking with like-minded people. Previous story Ladies, what are you doing today to make yourself better? Awesome Swati…….great keep it up!! !